A facing of brick laid against the front side of an exterior wall but not bonded to it; provides a decorative, durable wall surface. Such bricks typically are laid lengthwise, so this type of construction is relatively thin, economical, and easy to lay. Problem: While applying gunite to the walls of an outdoor swimming pool, the hose ruptured, splattering concrete across the brick facing of the adjacent house. It's much nicer than the Hippodrome in my opinion, although I am concerned about the expanse of brick facing Fairfax Street. When a house is under construction and a natural stone or brick facing is planned, the builder usually builds the brick ledge into the foundation by extending the foundation past the house framing. Brick facing, turret cupolas, and low stone walls are among the detention center's features. Espirito Santo painted opposite interior walls of the museum with flat gray faux brickwork, a reminder to visitors that the building's exterior - panels of ersatz brick facing, used as an earthquake precaution is itself trompe l'oeil. White paint covers the remaining Roman brick facing. This list of improvements includes repairing brick facing and sidewalks, enhancing handicap accommodations, upgrading bathrooms and more. Construction of a building in concrete structure and pile-based brick facing, Housing 21 classes as well as the service premises, And reconstruction of a sectioning cabin. It would have a brick facing that matches the brick on the sidewalk running along the Main Street, and have a green area compatible with the greenery along Main Street, as requested by Town Manager Brian J.
John Grgurich, publications and web editor for Reston, VA-based Brick Industry Association cites overwhelming interest in brick facing from the educational market. 3--ran in SIMI and CONEJO) A shop building on Central Avenue, reconstructed after the 1994 earthquake, gets brick facing in Fillmore. 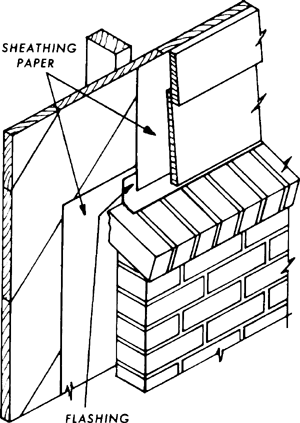 Next measure your fireplace opening and brick facing (Photo 2) and sketch them onto graph paper.